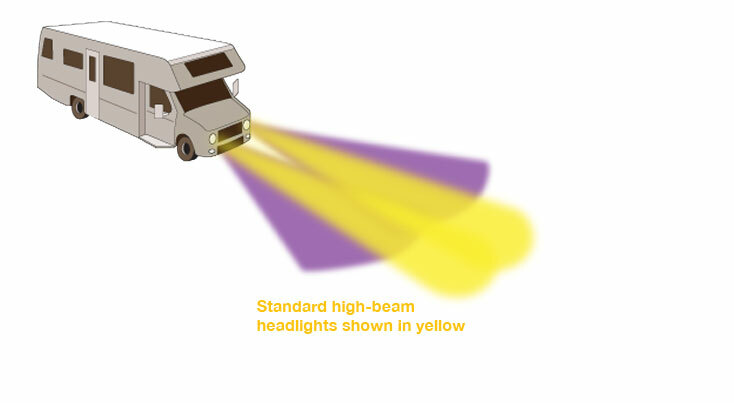 The driving light pattern (shown in tinted purple) produces a focused, pencil-shaped bright light to reach far beyond high-beam head light (yellow). Driving lights increase long-range visibility at highway speeds and provide additional safety while driving at night. 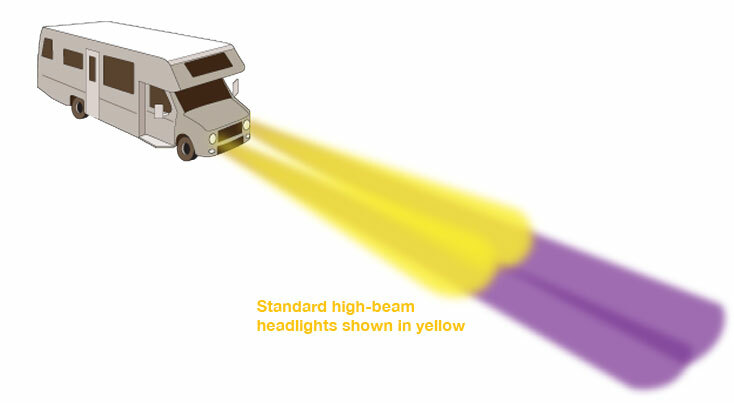 Fog lights (shown in tinted purple) provide a low, wide-angle light pattern to increase short-range visibility. Ideal for added safety, sleet or rain. Both amber and clear fog lights are suitable. Amber, while not penetrating, is more visible to approching vehicles. The flood beam is an excellent work light that illuminates wide and short areas. The trapezoidal beam (shown in dotted lines) is an ideal, general-purpose work light designed with a narrower pattern for longer visibility. The spot beam is a long-range light for marking rows, fence lines, etc.